Over the years as people have driven on the tracks in the desert, corrugation started building up. The result is that people simply started driving next to the tracks to avoid the badly corrugated tracks. 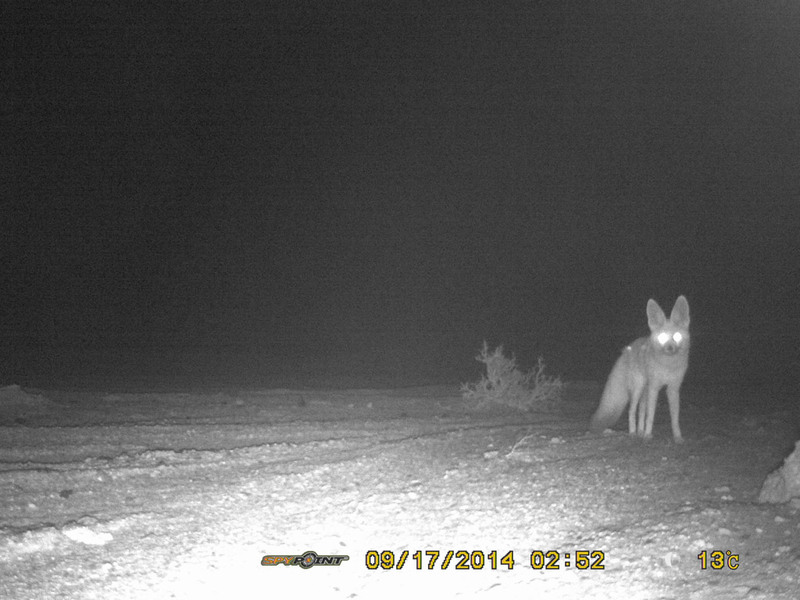 This results in ever widening tracks, that look bad and most of all destroys habitat in the sensitive desert. 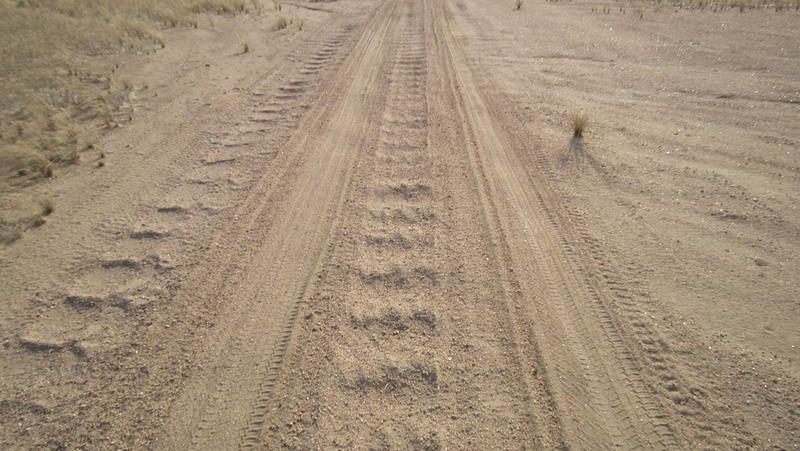 Since we could not grade these tracks with conventional grading techniques that move sand out of the track as the grading blades cut through the soil, leaving behind an ever deepening road, we needed to find a new grading technique that minimizes the amount of soil moved to the sides. 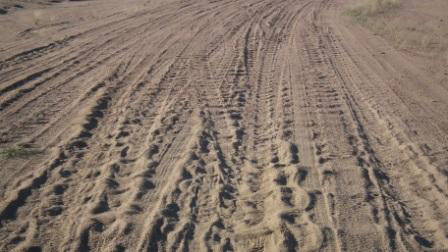 With the assistance of Bannerman Recourses we have developed a simple yet very effective grading tool that cuts through the corrugation without moving sand to the side. Today we call this simply "Corru-Buster". After many months of trial we have started a routine grading schedule where Bannerman Resources and some of the tour operators who use the same tracks, grade the 36km track every 14 days. The result is simply better tracks and less people driving next to the tracks. Bannerman Resources has kindly sponsored two more Corru-Busters, (with slightly improved design), which were built by Swakop Engineering. Another little project supported by Bannerman Recourses. Once again this started out of frustration. We noticed that indigenous plants are being removed from the desert by somebody. Not one or two, but many. Whoever has been doing this has been targeting very specific, endemic species for either personal or financial gain. 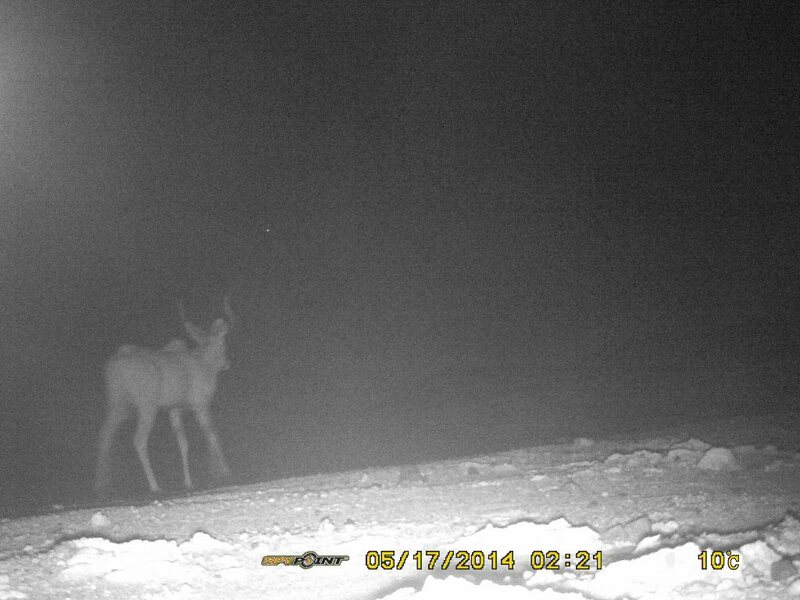 A number of camera traps now monitor vehicle movement and keep an eye on particular places. 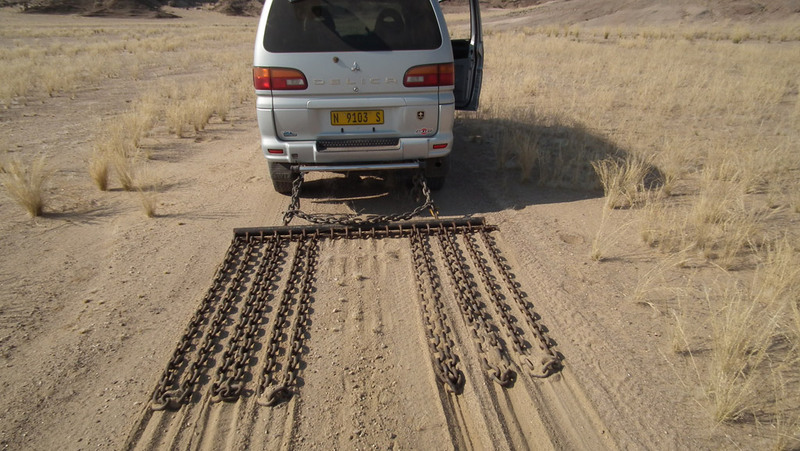 We have been moving these camera traps around quite a few times. So far we did not see anything going wrong, but at least we photographed some wildlife like kudu, jackal, porcupine as well as some cyclists roaming about. If anybody out there has any workable solutions about how to avoid using PET water bottles on our day tours, feel free to contact us. The amount of water bottles we collect for the recycling bin makes me sick every day. As we are running a lot of day tours, it makes no sense to issue each guest with a reusable bottle, as the effort and cost involved in cleaning them daily is beyond our current capabilities.